In the same way that not all cars are equal, not all structural analysis solvers are either. So what is an optimal solution for solving low-complexity problems is probably not the best for high-complexity problems although they are still both structural analysis solvers. As a result, we need to offer a range of solutions that deliver the best experience across a wide range of problems. This is where the new SIMULIA Structural Simulation Engineer solution comes in. It is tailored to solve very complex structural problems but can it solve the relatively simple cases? Yes, however, it would be like using a sledgehammer to crack a nut. 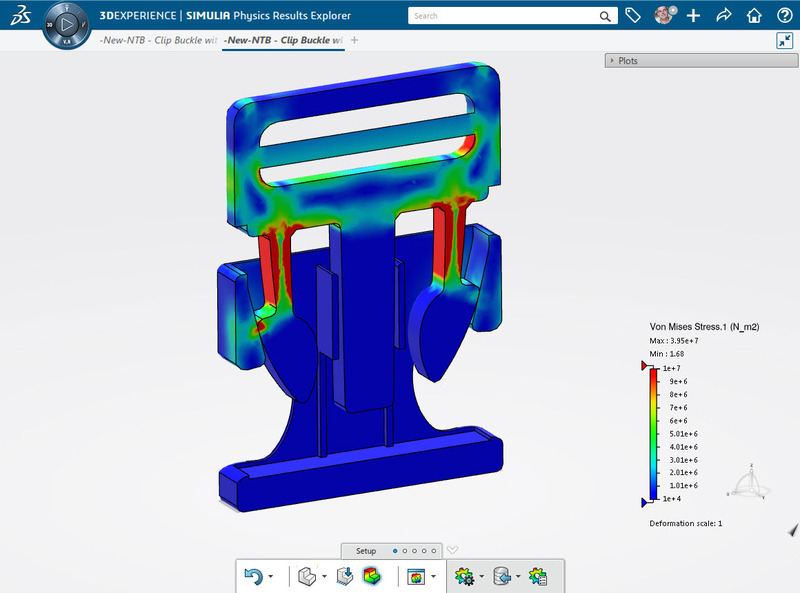 The new SIMULIA Structural Simulation Engineer solution expands the coverage of the SOLIDWORKS Simulation portfolio by delivering the world-leading Abaqus solver on the 3DEXPERIENCE platform. SOLIDWORKS has spent the last 15 years making structural analysis more accessible through UI and workflow improvements that enable any designer to setup, run and understand their results directly inside of their CAD workflow. This focus has not dimmed with the introduction of SIMULIA Structural Simulation Engineer. For example, while SIMULIA Structural Simulation Engineer is on the 3DEXPERIENCE platform, users can easily access and use this powerful solution with ‘one click’ from within their familiar SOLIDWORKS Simulation environment. This ‘one click’ will transfer geometry, materials and many boundary conditions over to the 3DEXPERIENCE platform kick starting the solution. One click, it’s as easy as making a purchase on Amazon. 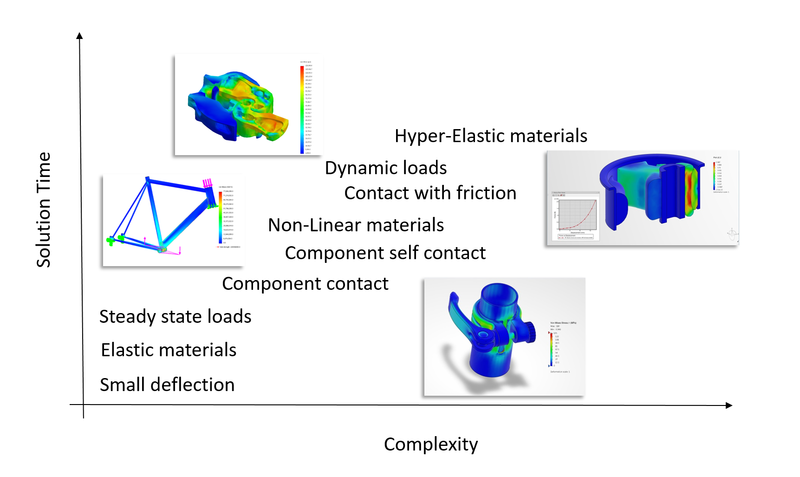 In addition to a new solver, Simulation Engineer users will benefit from a wide range of material models and a robust and automatic contact setup together with advanced meshing tools. Together these technologies from SIMULIA result in a product that will deliver high-accuracy solutions for the most exacting of structural simulation problems. Simulation Engineer will be available to select customers in the first half of 2017 with a planned full worldwide availability by the end of 2017. For more information, and to stay current on SIMULIA Structural Simulation Engineer updates, please visit its product page.